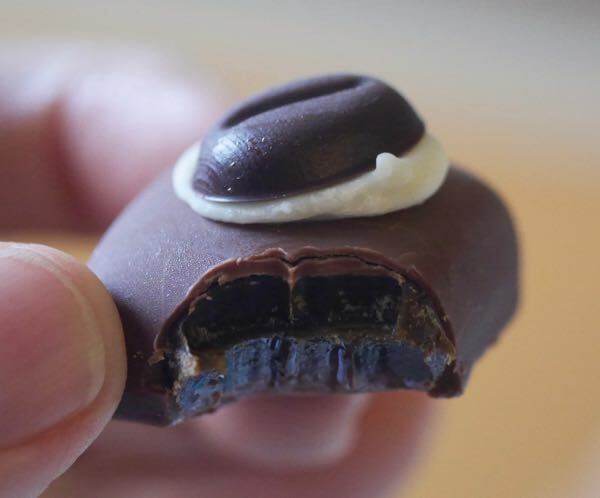 Nancy Nadel at The Oakland Chocolate Company (Oakland, CA) has created a wide assortment of flavored chocolate caramels, covered with her bean-to-bar-to-bonbon chocolate (that she's made from Jamaican cocoa beans). 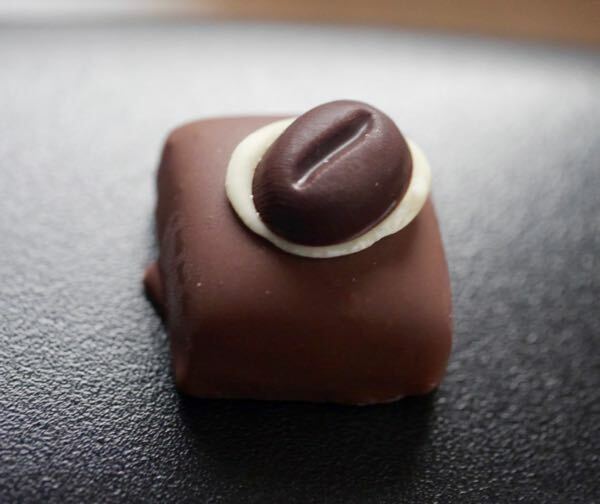 Today, the focus is on two chocolate and caramel pieces: a Pecan Turtle and a Macchiato Caramel. Both chocolates had the subtle aroma of rich, dark Jamaican chocolate, and had the satisfying caramel and chocolate melt and texture that often only comes with small-batch confections with high-quality ingredients. 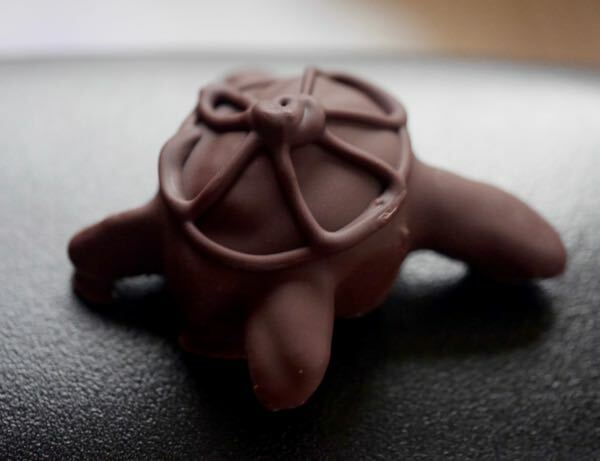 The turtle was a jewel of a confection—not a jumbo sweet monster patty packed into glass cases, oozing enough caramel to induce diabetes. This turtle had just the right amount of caramel and naturally sweet crunchy pecans. And the flavorful chocolate wasn't overly sweet (thank you!). The Macchiato Caramel was an attractively constructed bonbon topped with a spot of white icing and a coffee bean. No wait. That coffee bean was actually a carefully molded tiny chocolate piece that looked like a coffee bean. The dark, not too sweet coffee-infused caramel center was also nicely done and well-balanced. Thank you Nancy Nadel for being an early bean-to-bar chocolate maker in the wave of New American Chocolate makers that have blossomed this century, and for your new, creative flavors you continue to bring to the market. 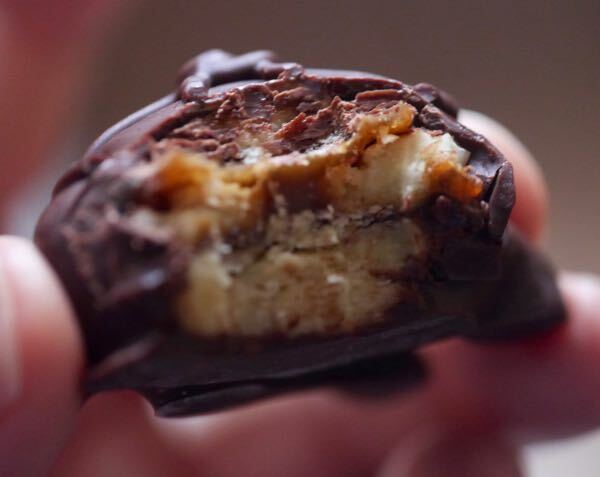 *The Oakland Chocolate Company also offers Cardamom, Lemon, Cinnamon, Apple, Sweetheart and other Caramel bonbons with flavor inclusions. Labels: chocolate and caramel, chocolate and coffee, chocolate turtles, pecans, The Oakland Chocolate Co.